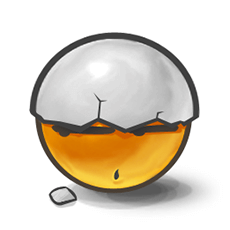 If you’re feeling like you’ve got egg on your face, you can share the feeling when you post this emoticon! Our cool designs can be used for all sorts of reasons. You decide! Send this in a chat to someone you may have offended. Post it to your wall so everyone will know you poor plight!